IAM International President Tom Buffenbarger has announced the appointment of Grand Lodge Representative Don Barker to the position of Aerospace Coordinator, effective January 1, 2014. An IAM member for more than 27 years, Barker initiated into Local Lodge 776A in July 1986 as a production worker for General Dynamics (now Lockheed Martin) in Fort Worth, TX. 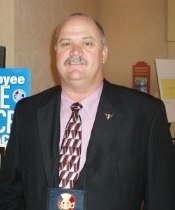 Barker was elected Conductor-Sentinel of his Local and later Vice President of the Tarrant County Central Labor Council. Before becoming a Grand Lodge Representative in 2005, Barker served as an Apprentice Organizer and Special Project Director to coordinate the AFL-CIO’s very successful multi-union San Francisco International Airport (SFO) Organizing Project.